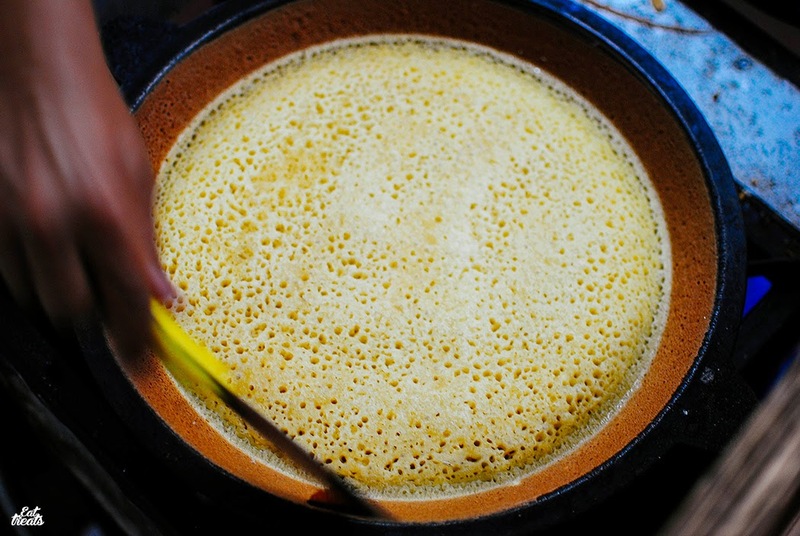 Just went here yesterday and couldn't wait to blog about it so I am doing it now! A little teaser on my Instagram to drool and troll! Not yet finished "suffering" from the trending food such as cronuts or Nitrogen ice creams, Jakarta is now "sick"! 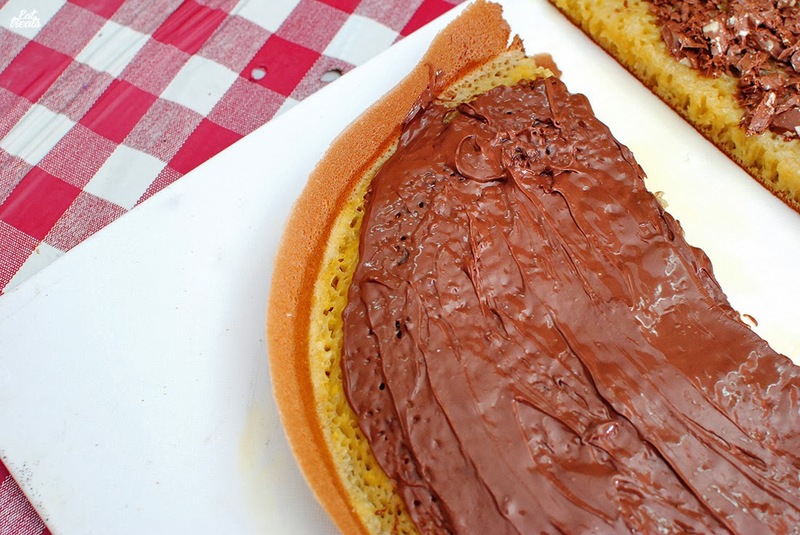 Jakarta is suffering from MARTABAK NUTELLA AND TOBLERONE fever. Thanks to the social medias for the buzz of this! 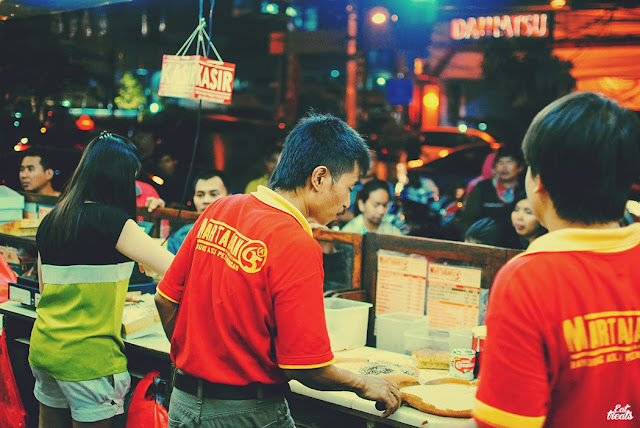 This highly publicized street food is a unique and slightly different martabak creations than the other martabak(s) you can find elsewhere! Thanks to the Holy Nutella and Toblerone, those two simple ingredients actually became something that turn the destiny of this brand to another level! Luckily, Pecenongan is really close to my home, it took only 10 minutes of driving and FYI, since I went here for a project with one of the top teen magazines in town (can't spoil the name), the owner was contacted for an article purpose and guess what? We didn't need to freaking queue MWAHAHA feel so bad for the people who waited outside. Such a perk of working at the publication business. Let's take a look at the production process. I didn't recall and wasn't actually counting, but I think there were about 50-ish people waiting in line for their martabaks to be done and took home for. Not much who were actually dining-in, the inside area was not spacial, more like small, it fits around 10 people max I guess. 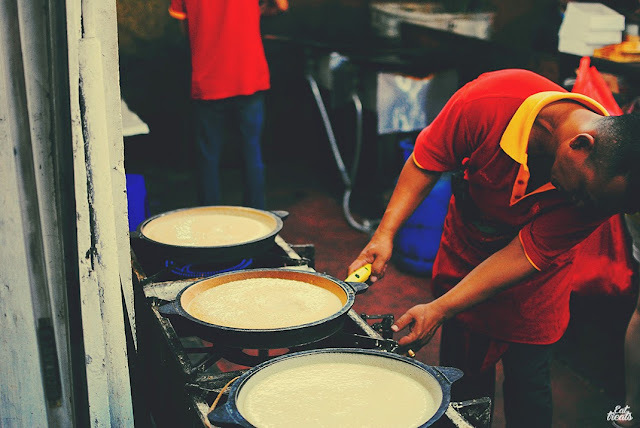 Looking at the production process actually made me kinda crave for it like..soon! The "on cooking" martabaks were really fragrant and I knew they were cooked just perfectly! I could tell from the crispy skin, the juicy looking insides! This was not the original service presentation, for both (take away and dine-in) costumers, the martabaks are served in martabak boxes, but since we wanted to take pictures to give you guys the inside peek of the martabak, then here it goes! 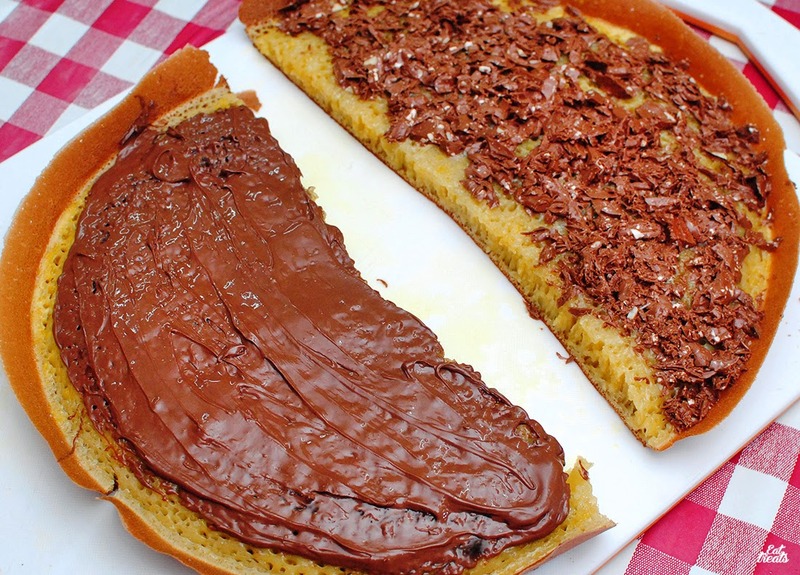 The left one: Nutella - A jar of Nutella is usually for two martabaks, so this one was the amount of half Nutella jam. 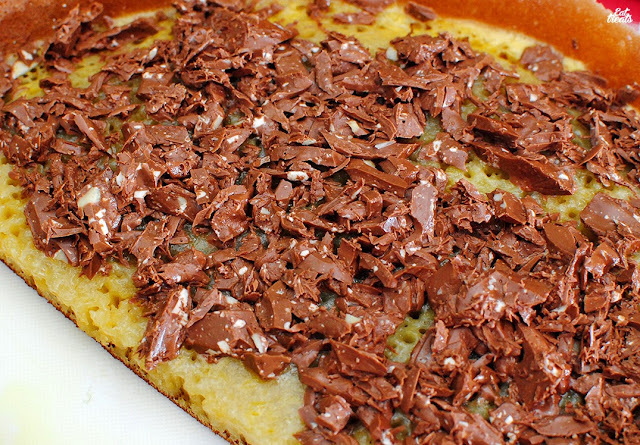 The right one: Toblerone - 200gr Toblerone chocolate for each Martabak! 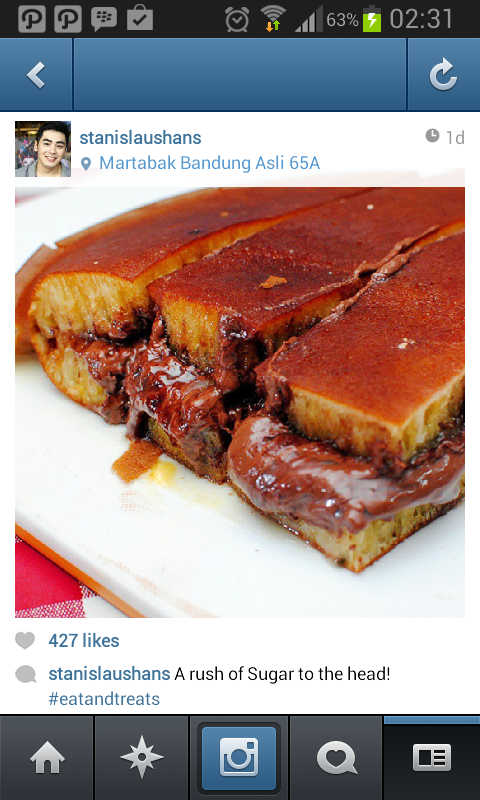 So here I was having a Martabak with Wijsman butter dressing, 200 gr of Nutella jam and 200 gr of Toblerone chocolate. Better not start counting the goddamn calories! Prepare your eyes for the ultimate foodporn, right when it's stacked and sliced. Prepare your napkin, too! 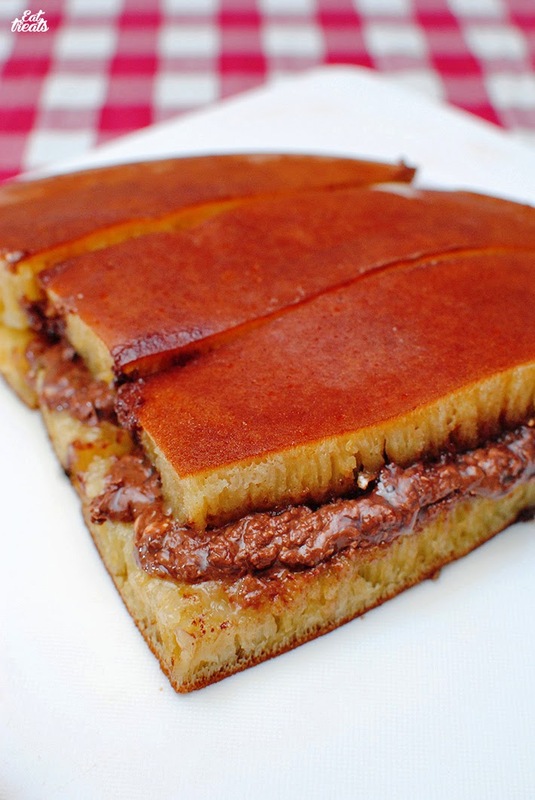 Even though technically it's now Nutella Toblerone Martabak, I'm showing you some sides of the martabak, this is the side where there is more Nutella. Just look at those mouthwatering chocolate jam sneeking out from its home <3. This one is where there's more Toblerone chocolate! I am dying. 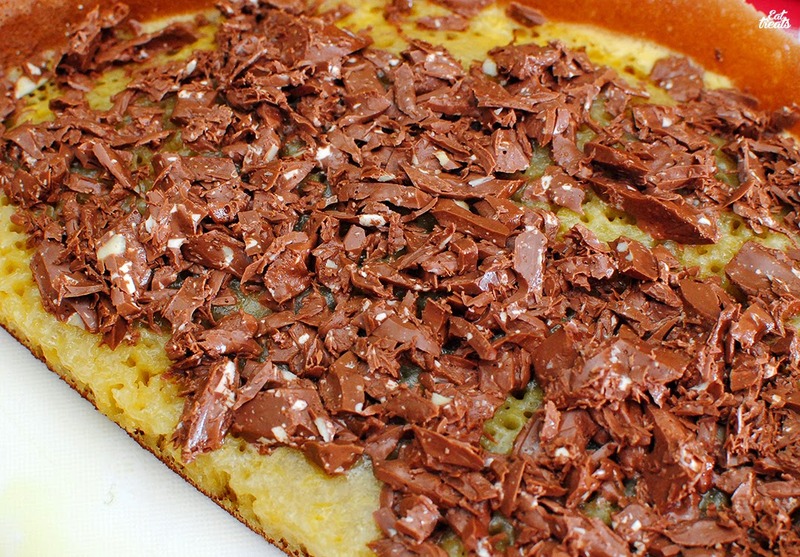 Aside from all those chocolate glory, the cons from me was probably the amount of oil from the butter, it was dripping from the martabak like juice, well it might look good for the photo but for the system, hell no baby. You might feel a little bloated and that greasy feeling in your mouth (and your hands) after a few bites. After all those amazing explanations and foodporns, the question is: Is it all worth the 140k price tag? I would say from my point of view, it's still relatively okay. It is indeed not cheap for martabak, but considering the amount of premium ingredients used and the bills to take care. It might not be cheap, if you think it's expensive and not worth it, don't even bother buying it, nobody ever forces you. You get what you paid darlings. 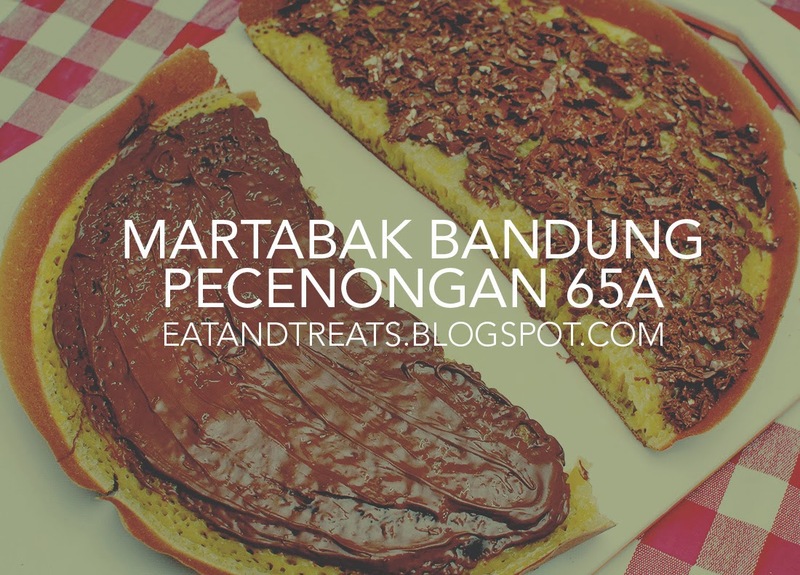 Being known as "The Most Expensive Martabak in Jakarta (and probably Indonesia)", Martabak Bandung Pecenongan 65A still claims to be its old self, only more famous nowadays. They claimed to still give in the same amount of ingredients, even during the monetary crisis back in 1998, so either you like it or not, it is what it is, and I adore else's principals! Best of luck and keep the Nutella and Toblerone fever alive, hopefully more creative touches to the creations! PS: If you bring your own Nutella or Toblerone, you will get cheaper price and they'll charge you with the "plain" price, but since the Nutella and Toblerone itself is not cheap, I suggest stealing from your relatives stick with the price tag. They also have Delivery service, but since the queue itself is crazy, I am not sure, not even recommending to do this. Getting these martabaks on the spot is a freaking gamble already. I tried the simple toblerone one and almost fainted. It was decadent! 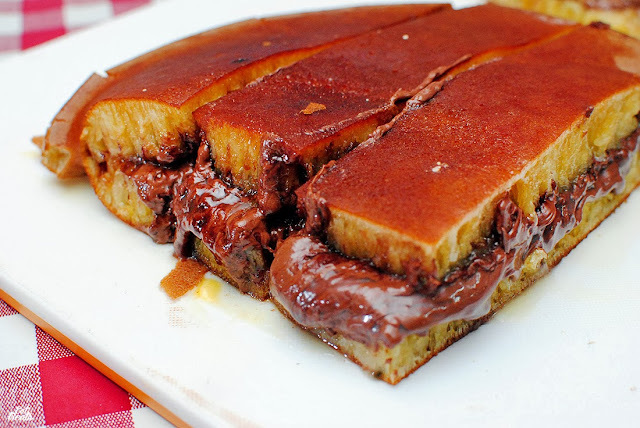 Will try the nutella martabak some time later, after my blood cholesterol level goes back to normal. But really, IT WAS GOOD!